"The High Sign" is a short comedy, starring Buster Keaton. It is part of our series "Other Favorite Films". This category includes films that do not feature a particular star from our site, but which in our view represent a major contribution of a silent movie to the Arts and Culture of the world. 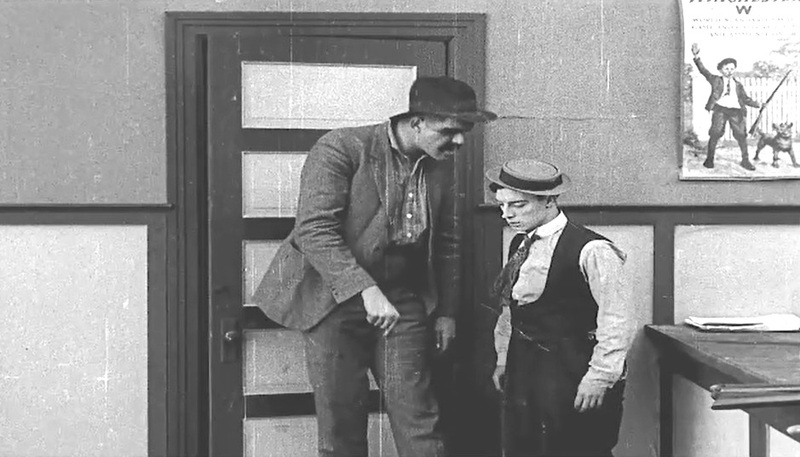 "The High Sign" is the first short comedy, produced by Buster Keaton as an independent film-maker after his learning experience with Roscoe Arbuckle. Buster Keaton apparently did not consider this film good enough and only released it when he was forced to rest due to a broken leg. "The High Sign" is one of only three Buster Keaton short comedies, which do not feature our star Joe Roberts. 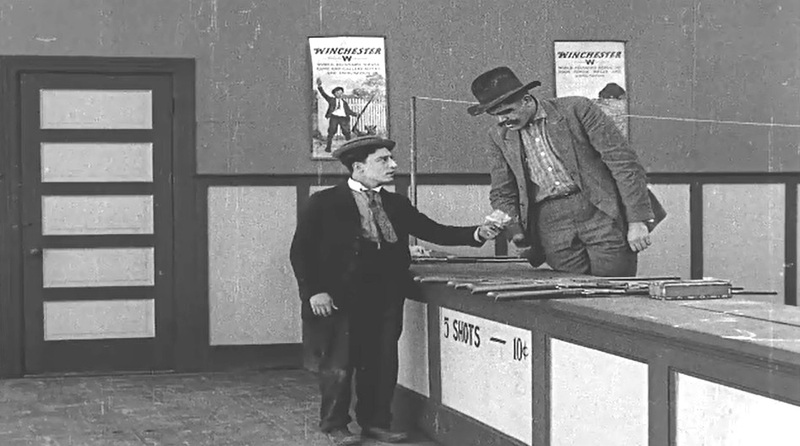 Buster Keaton applies for a job in a shooting gallery, where 'Tiny Tim' Ingram Pickett is the boss, in "The High Sign" (1921). 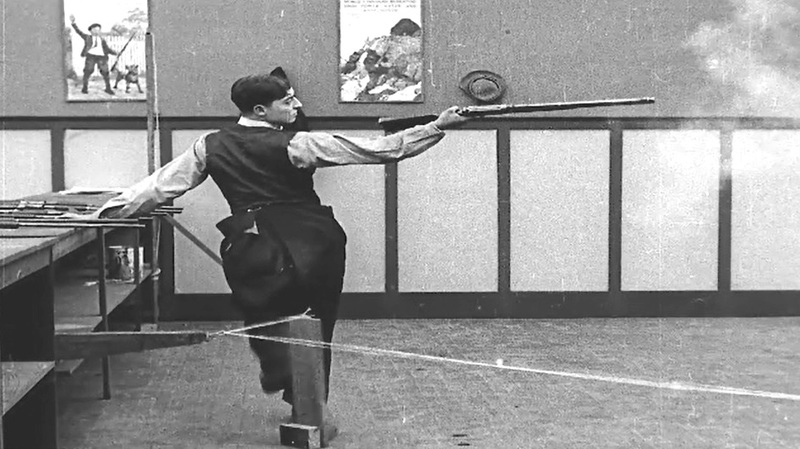 Buster Keaton indulges in some fancy shooting in "The High Sign" (1921). 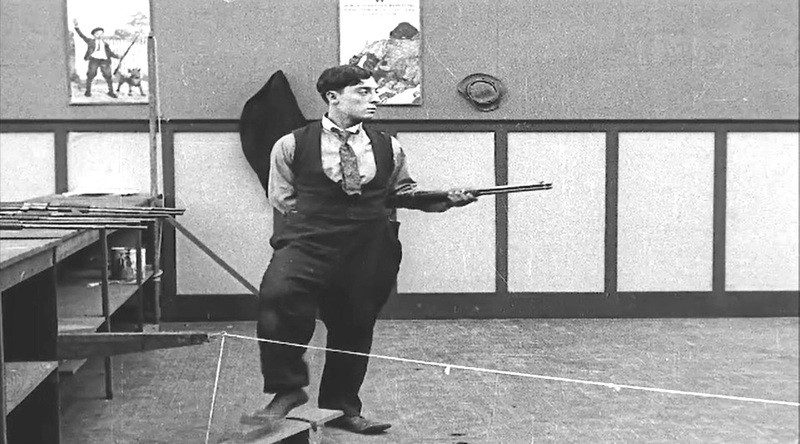 Buster Keaton does some more fancy shooting in "The High Sign" (1921). 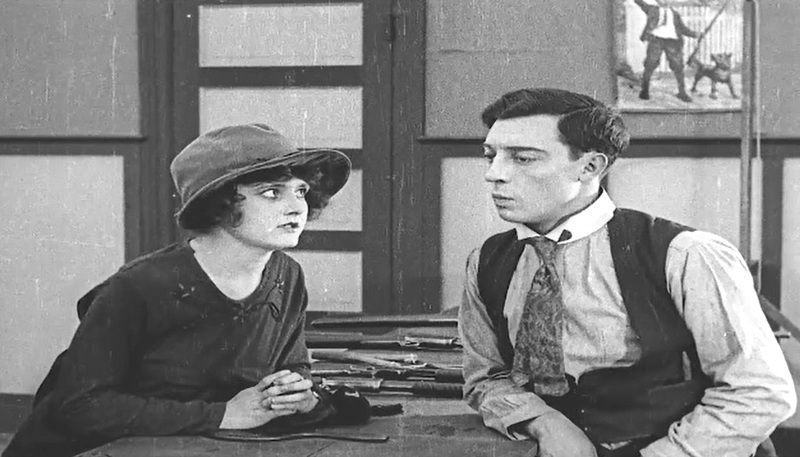 Buster Keaton meets Bartine Burkett in "The High Sign" (1921). Buster Keaton is disciplined by Ingram Pickett in "The High Sign" (1921). 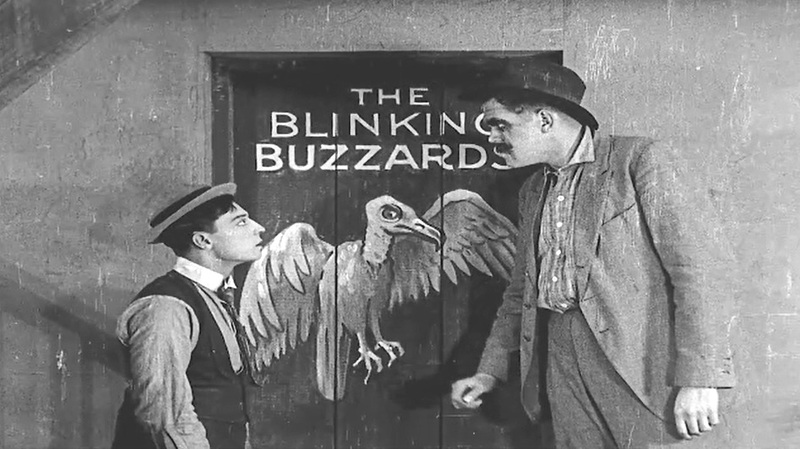 Buster Keaton is introduced to 'The Blinking Buzzards' by Ingram Pickett in "The High Sign" (1921).